Former training partners Lyoto Machida and Mark Munoz will have to put their friendship aside once they lock horns at UFC Fight Night 30 this coming Saturday. The two has spent countless hours of training together and both of them admit that they have improved their game with the help of one another. 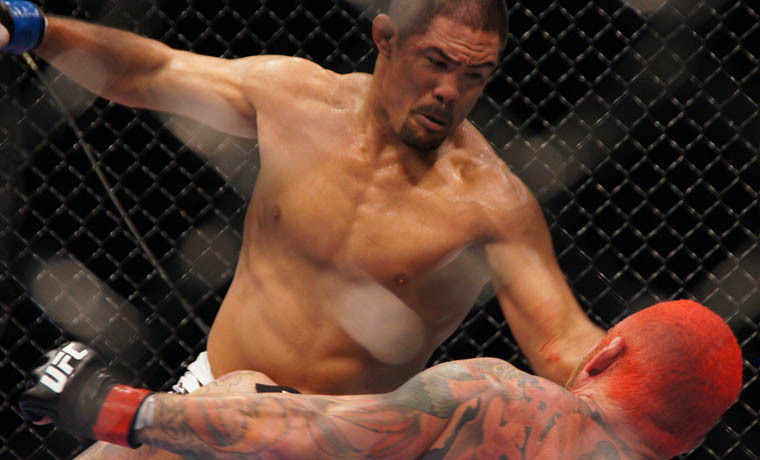 However, according to Mark Munoz, Machida benefited more from him. The Filipino Wrecking Machine also claims that he has a few tricks up on his sleeves being “The Teacher” in their time as training partners and he plans to use them on Saturday night. The two are set to headline the upcoming UFC event in Manchester, England. Munoz was supposed to fight local hero Michael Bisping but the latter was pulled out due to a detached retina and was subsequently replaced by Lyoto Machida. The bout will be the first time for Machida to compete in UFC’s middleweight division. He was once considered as the best 205 pounder in the first half of his UFC career. Machida racked up eight victories in a row that includes capturing the light heavyweight belt from Rashad Evans and a successful title defense against Shogun Rua. After that, he went 4-4 in his last eight matches. He decided to drop down to middleweight after a disputed loss to Phil Davis in UFC 163.